The company was originally founded in 1983 by Miss Mary Gogossis, under the name of GM Yachting, which was one of the first yacht charter companies in Greece and experts in yachting business. In 2001, a need to expand the range of our services in the field of yachting arose; the company was reformed and assumed its final form and name as MG Yachts. Since then it has been our goal to offer our customers and partners bareboat, skippered and fully crewed luxury yachts, tailor made customer and management services and yacht sales. Nowadays, it is a matter of necessity to improve our services on a daily basis, so every year we expand our own fleet with new sailing yachts and catamarans, in addition to managing more than 100 other yachts all over Greece. This fleet and our customers are served at our own office and at new branch offices that the company invests in, in key destinations around Greece. Each individual member of the MG Yachts Team is selectively chosen to make the difference, with utmost attention to every detail, for their professionalism, their friendliness and their passion to provide exceptional services. 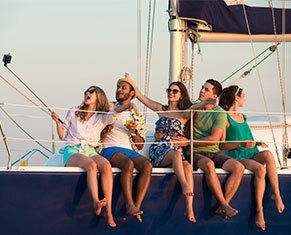 With this strong background and wealth of experience, we are proud of the reputation we have gained over the years as a leading yacht charter company in Greece, the large network of charter partners and the thousands of satisfied customers all over the world. We are excited and passionate to complete our goals and intensify our efforts to expand our services with new and innovative ideas in the yachting business. GNTO: is licensed by the Greek National Tourism Organization (license number 0261E63000607000) approved by the Greek Ministry of Culture and Tourism. SITESAP: We are member of SITESAP, the Greek Bare Boats Owner Association since 2001. GYA: We are a member of the Greek Yachting Association. HPYOA: We are member of HPYOA (EPEST) the Hellenic Professional Yacht Owner Association. HYBA: We are a member of Hellenic Yacht Broker Association. YACHTPOOL: We are a member of YACHT POOL (International Financial Security System). PANTAENIUS: We are secured by PANTAENIUS, the Charter Protection System. EIS: We are a member of EIS (Deposit Insurance, Cancellation Insurance, Payment Protection). Mg Yachts is proud of the strong bond of a team with 20 member staff. 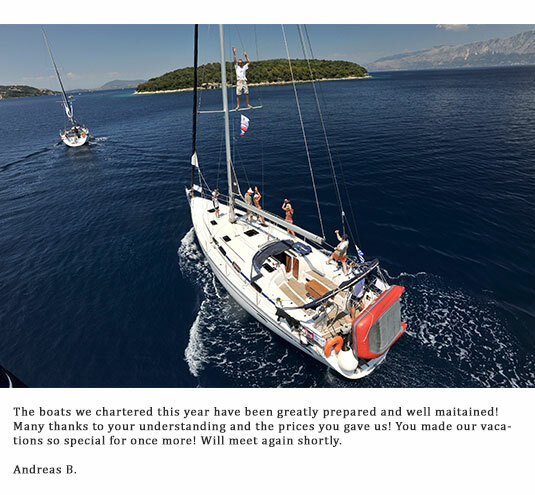 The unique experience and the knowledge of them are the stepping-stone of 35 years recognition of MG Yachts as a leading yacht charter company in Greece. Your preference and requirements made our team strong, and thus they have grown to became even better every year so to continue their efforts to expand their horizon with new and innovative ideas of high quality on sailing and cruising services. Our mission is simple to offer you our thirty-five years of knowledge and experience in the field of yachting with professionalism and high standard services. Mg Yachts team is always ready to serve you. Simple contact one of our experts. A unique value proposition is paramount for in any activity the MG Yachts is active on.